Sometimes it’s hard to find enthusiasm for a generic walk especially when your children are young, they can’t picture what they’re going to do or if it’s going to be fun. If I suspect that this is the case with Lyra I try explaining what we’re going to do or explain where we’re walking to. It’s usually just a walk to the park or the shop but it suddenly becomes an adventure for her. And if your little one is anything like Lyra once you’re out and exploring they often forget the purpose of the walk and just enjoy themselves. But even if that doesn’t happen, well a quick walk to the shop and back is better than nothing. Lyra received a VTech Camera for her second birthday and although her hands were a little small to use it straight away she got the hang of it well before the recommended age of three. I don’t know if it’s because she’s a bloggers daughter but she absolutely loves taking her camera out and taking her own pictures. It’s so fun to see what she chooses to take photos of and often sparks some great discussions. I’ve also found packing the camera in my bag and then bringing out when she’s starting to tire on a walk to be really effective. She gets a second wind and then we don’t have to carry her or cut the walk short, although walking anywhere takes a lot longer when she’s taking photos! Sometimes there are days when a walk just doesn’t sound that appealing. Especially if, like me, you can’t drive or your environment is limited in any way so you feel like you’ve walked around the same area a hundred times before. 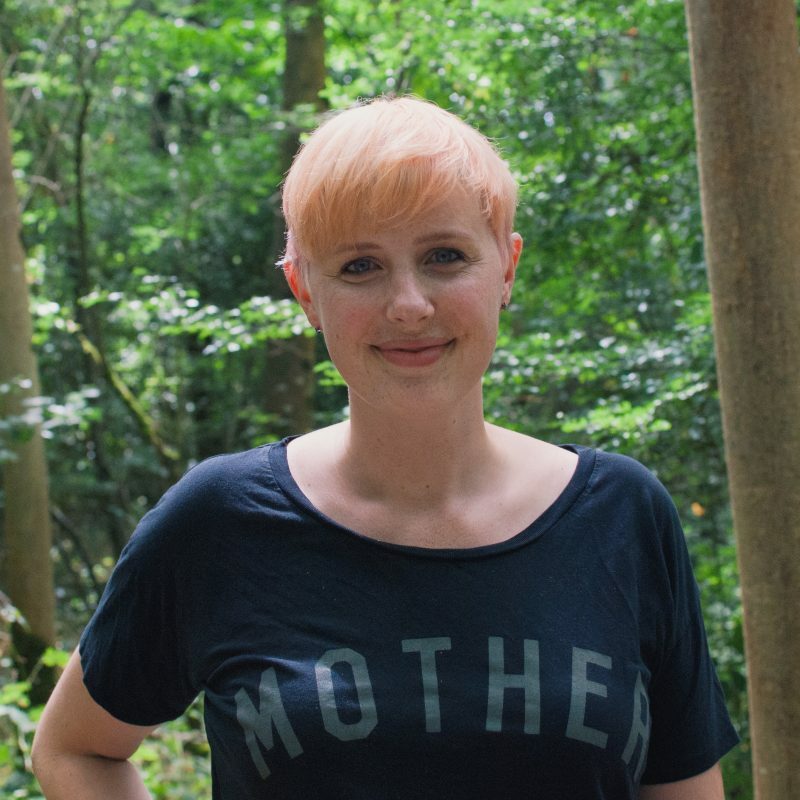 One way to freshen up your routine and make it feel like you’re discovering a new place for the first time is to plan an activity for whilst you’re out. 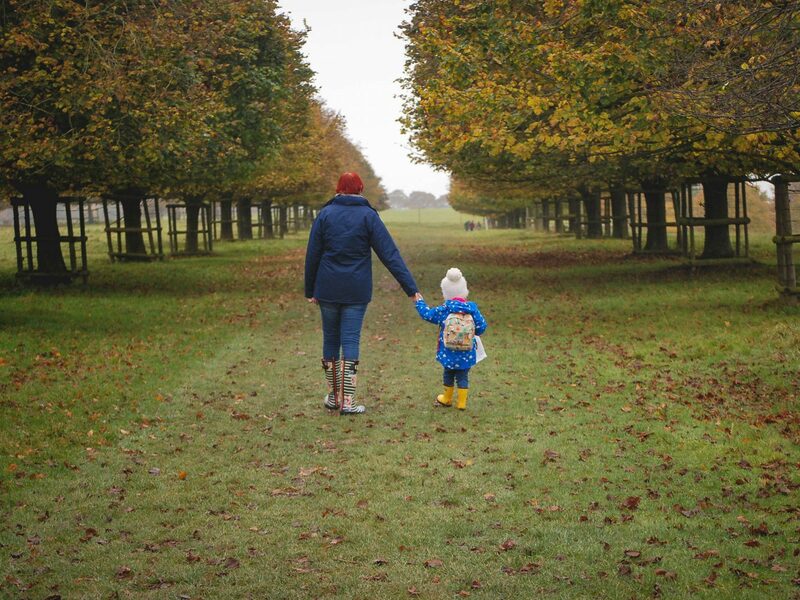 One of our favourites is a colour scavenger hunt, but it could also be something as simple as hunting for bugs or taking a leaf or bird book out with you. Anything that forces both you and your toddler to look at your surroundings in a fresh light. My daughter is obsessed with her rucksack, she loves it, and will take it out on almost every walk we go on. I used to pack a few things to keep her entertained into the changing bag but now that she’s older we pack it into her bag. We try and pack it together before heading out and it builds up the excitement for some time spent outside. There’s always a different combination of things inside but it usually includes items such as binoculars, a magnifying glass, bug catcher, her camera, snacks, and a little toy that can ‘explore’ with her. The bag also has the dual benefit of being able to hold any treasures that she finds whilst outdoors which means my pockets don’t become full of stones, seeds, pine cones etc. 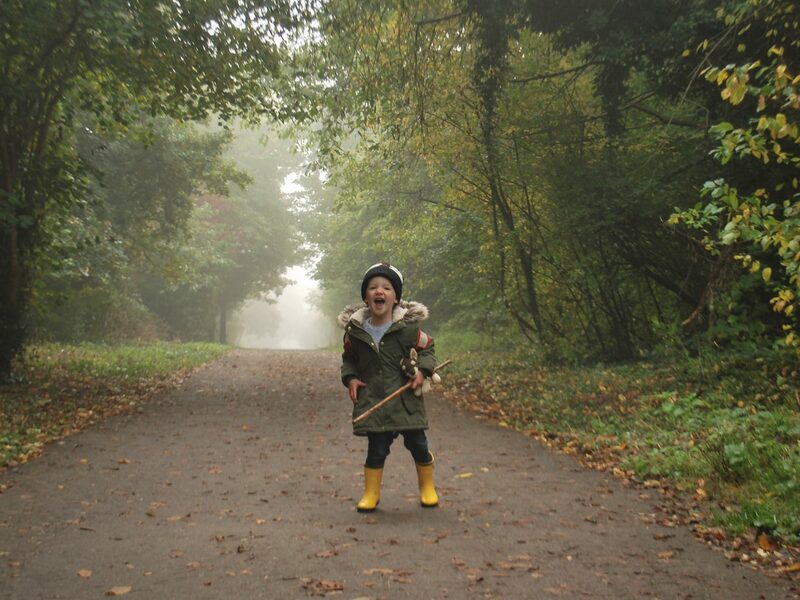 So your toddler doesn’t really fancy heading outdoors? They want to be doing some crafts or baking or something instead. There are lots of outdoor resources that you can use for crafts and things. In the Autumn we can head out for a walk and collect loads of leaves and then make leaf hedgehogs or use them for painting once home. In the spring or summer you could collect things for a botanical suncatcher and in winter you could do bark rubbings to turn into pictures when you’re back in the warm. 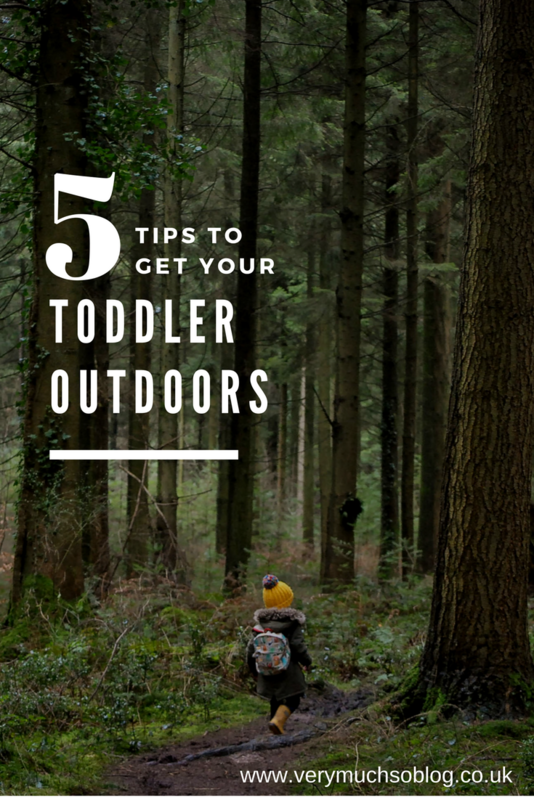 I hope that at least one of these tips help you get outside with your reluctant toddler this week. I hope that the excitement for getting out of the house grows once more and that you don’t have to fight to get your child in the correct weather appropriate clothing to enjoy your adventure. My toddler definitely has days where she’s reluctant to get out of the house (and yet goes stir crazy if we don’t). I love the idea of an adventure bag. Definitely going to get some bits together to make one with her. Such smart ideas! Will definitely put them to use on those days when my LO would much rather stay indoors and play/ watch TV! Great tips. I especially love the idea of giving them a camera. Finn already tried to take pictures and I think he’s love this!